One of the greatest compliments to Holm's talent as an actress is the fact that she is so well remembered for her contribution to Joseph L. Mankiewicz's A LETTER TO THREE WIVES (1949) although she never actually appears onscreen. 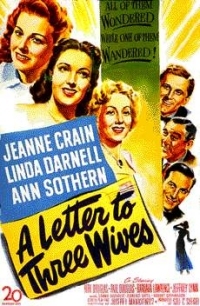 Lending the voice-over narration from the point of view of Addie Ross, the woman who writes the letter to Jeanne Crain, Linda Darnell and Ann Sothern saying she has run away with one of their husbands, Holm (with the help of Mankiewicz's Oscar-winning screenplay) almost succeeds in distracting the audience from the plight of the three women by constantly piquing its curiosity about her faceless character. 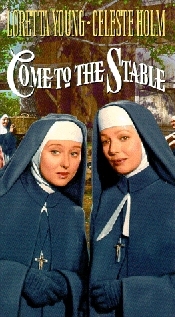 Holm earned her second Best Supporting Actress nomination for COME TO THE STABLE (1949) in which she and Loretta Young play nuns from France who arrive in a small New England town with plans to raise money and build a children's hospital. One of the lesser-known holiday perennials, COME TO THE STABLE is a light mixture of comedy and sentiment. Holm contributes most to the former category with her surprisingly authentic French accent and tennis skills. 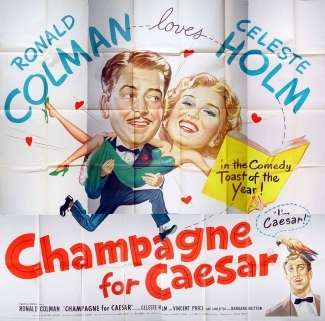 Although the plotline is a little weak, COME TO THE STABLE earned six Oscar nominations and also features the talents of Elsa Lanchester, Hugh Marlowe and Dooley Wilson.